I’ve been involved in some online discussions as to why Intuit apparently introduced this book-to-tax feature after I completed my tax filing last year but then removed the feature when I needed it this year! 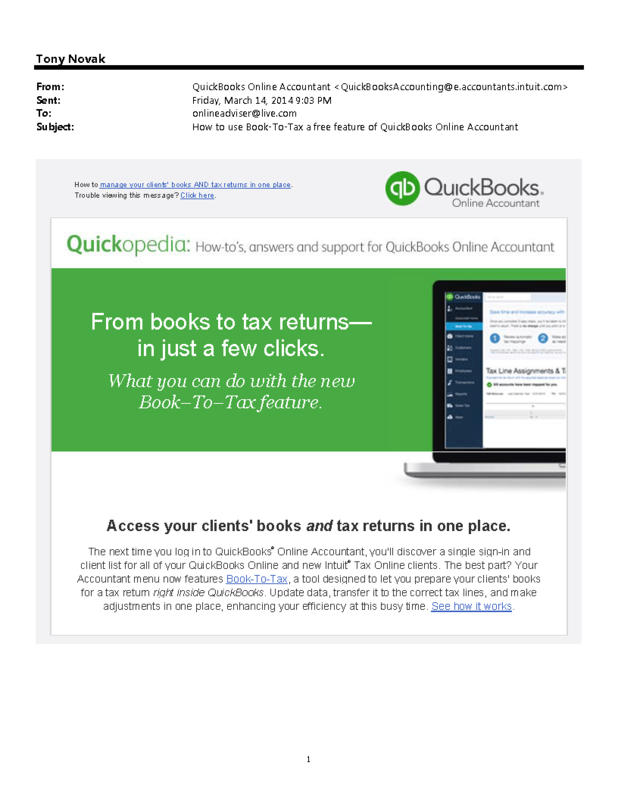 Intuit gave no explanation either online or when I called except to sat that it will be re-introduced after the end of tax season this year. I am left baffled by what value a tax software has that is only available outside of tax filing season. It seems so crazy that perhaps I’m misunderstanding something?